CYPRESS (KABC) -- An Orange County man won $10 million from a California Lottery Gold Scratchers ticket he bought from a smoke shop. According to a state lottery press release, Richard Maciel stopped by the Cypress Smoke Shop on his way to work to pick up a cigar. He decided to purchase a California Gold Scratchers ticket and ended up winning the largest amount possible in the contest. Once people in the store found out he won $10 million, a crowd formed. The press release said Cypress Police even showed up. "I like to keep to myself, so I snuck off and left as soon as I could," said Maciel, according to the CA Lottery press release. Maciel can take the $10 million in annual installments of $400,000 over the next 25 years or receive a $5.8 million lump sum. The Cypress Smoke Shop also wins $50,000 for selling the winning ticket. According to the press release, Maciel said he has won $1,000 multiple times and $5,000 from lottery tickets. "I've always had peace of mind, but now I have a little bit more. 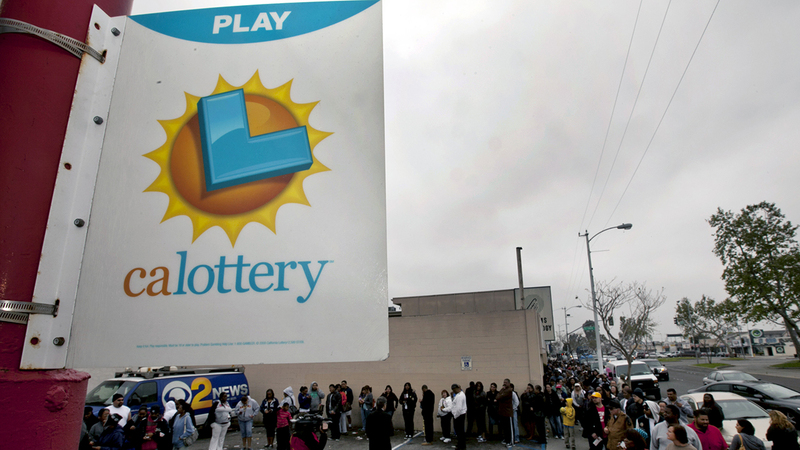 I'm just thankful and blessed," said Maciel, according to the CA Lottery press release.